The Best £6 Highlight/Blush Palette! 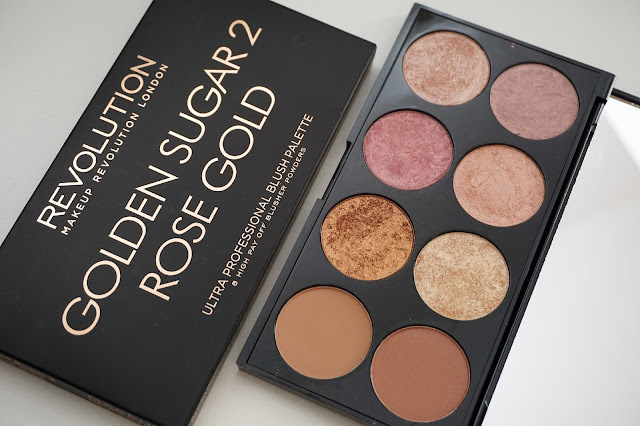 When I saw this in Superdrugs I instantly fell in love with it, Make Up Revolution is really killing it with their palettes right now! I already own the 'Hot Spice' blush palette and I use it on a daily basis, when I saw this Rose Gold Edition I just knew it had to be mine and I was not leaving the shop without it. 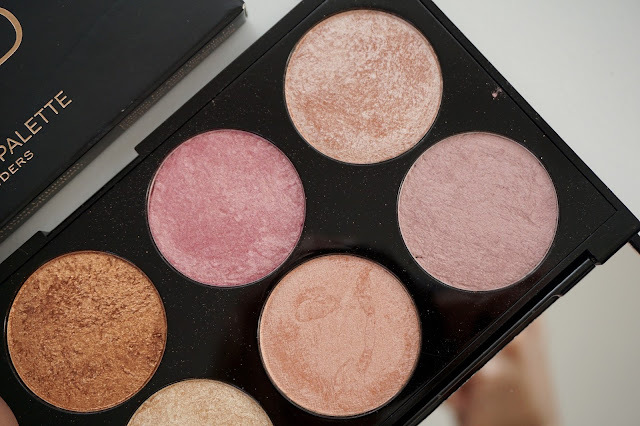 This contains more highlighters and there are only 2 matte shades which surprisingly compliments my NC37-40 complexion, it is very wearable and noticeable on the cheeks so don't be put off from the pictures as it really does not do the palette enough justice. The product is pigmented and blends like a dream, I use my favourite blush brush which is the Real Techniques Blush Blush to apply the darker matte shade to my cheeks and using my Certifeye Fan Brush I apply the highlight shade that is beside the darker blush - it creates such a beautiful glow to the skin and I'm always getting compliments when I have this duo on. 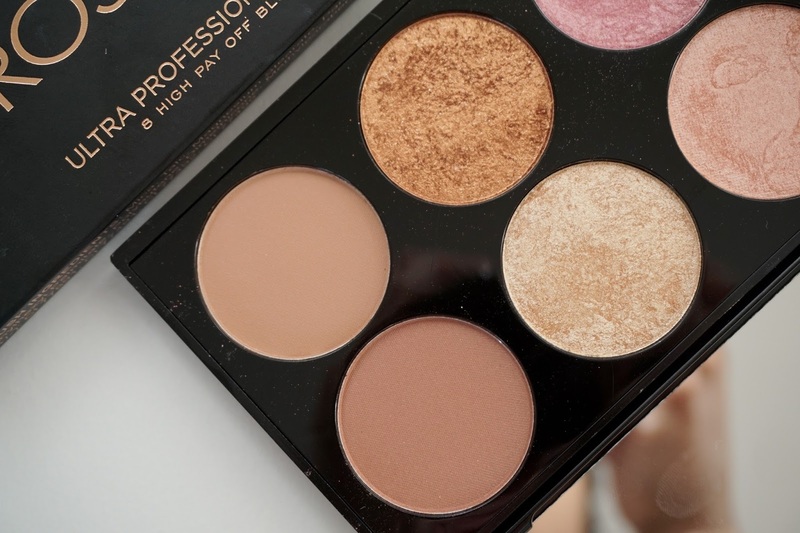 The product itself is so finely milled, I barely see any specs of glitter only when the light hits my cheekbones but it actually looks very flattering, what I also love about this product is that you can wear it very lightly or build it up to have a more intense look. If you're looking to try highlighters but want something more budget friendly I highly recommend this as it only costs £6 from Superdrugs and you get the chance to try 6 with a range of undertones. 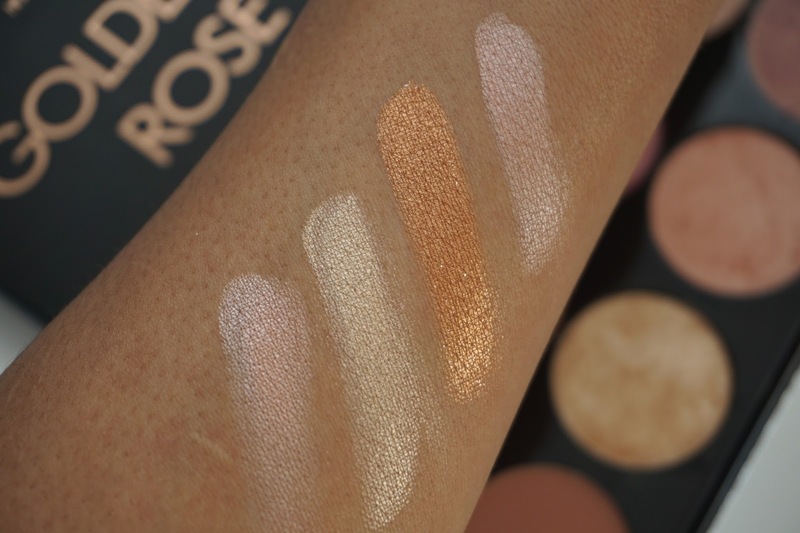 swatches of my favourite highlighters from this palette!